We all feel qualified to talk about the weather but despite it going on around us all the time, many of its secrets are hidden from view. Weather, even the everyday stuff, is full of extraordinary events. Yet despite scientists studying it for hundreds of years, we know far less about how it actually works than you might expect. The hidden mechanics at work are often amazing and sometimes downright magical. In this series, Richard Hammond gets right in amongst real weather – even if he sometimes has to resort to making it himself – to discover the unexplained, the unexpected and the just plain unlikely. In this first episode Richard investigates how wind actually starts: he visits one of the windiest places on the planet; walks into the centre of a man-made tornado; and creates a 10-metre high whirlwind… made of fire! Along the way he is part of a world first when he joins up with American meteorologist Reed Timmer, and a bizarre vehicle known as The Dominator III. Their aim is to succeed in doing what no one has ever done before – fire a probe into a tornado to measure its speed where it is at its fastest… right next to the ground. As Reed explains; “near the base of the tornado is one of the biggest mysteries of tornado science and its also the most important to understand because those are the wind speeds… that cause all the destruction.” To put that right Reed and his team take The Dominator into the middle of a real live tornado & attempt to fire a probe into the very heart of it. Richard braves the winds and temperatures of -50 degrees F to take a trip outside on top of Mount Washington in New Hampshire, On April 12th 1934 that station measured one of the highest wind speed ever measured on land – 231 mph! And bear in mind that 20 mph constitutes ‘a fairly strong wind’ and 80 mph is enough to knock you off your feet. In this episode, Richard investigates the crucial role water plays. Without water there would be almost no weather: no rain, no snow, no hail, no clouds And Richard goes in pursuit of water in all its forms. He tries to weigh a cloud, find out how rain could crush a car and gets involved in starting an avalanche. Along the way he tries to find out why clouds float, by building his own cloud with the aid of a cattle trough, some humidifiers and Atmospheric Scientist Dr. Jim McQuaid. “I may have bought the bits from a garden centre but secretly they are cloud-making devices!” But will their cloud float in the air like a real cloud? He also drops in on renowned hail scientist Dr. Charles Knight in his lab in Boulder, Colorado to discover that there is far more to hail than meets the eye. In a scientific first, and with the help of Jim Stratton and Craig Zehrung from Purdue University, Richard sets about using ice and hail as projectiles to find out which does the most damage. Finally, in conjunction with the WSL Institute for Snow and Avalanche Research SLF in Davos, Richard joins Walter Steinkogler as he starts an avalanche to in an attempt to find out how something as delicate and fragile as a snowflake can travel at extraordinary speeds of up to 250 mph on the ground. In the third episode Richard investigates the crucial role temperature plays in all weather. Without heat – or lack of it – there would be no weather: no clouds, no rain, no snow, no dust storms, no thunder and lightning. Richard finds out about hot air with the help of a quarry and a massive hot plate. Along the way, he discovers, by building his own massive dust storm, with the help of a few friends and dust specialist Dr. Nigel Tapper, just how sand from the Sahara bounces its way to the UK. In Canada he creates his own ice storm and he visits the state-of-the-art Smart Road in Virginia, USA, which is remarkable for two reasons. Firstly, it goes nowhere, just suddenly ending abruptly. And two it can create its own weather. Richard sets the dials to ‘fog’ in an attempt to understand why clouds are white. He also drops in on Dan Morgan who creates lightning bolts in his lab and where Richard is able to see thunder and hear lightening with the aid of some special cameras, light bulbs and a few candles. 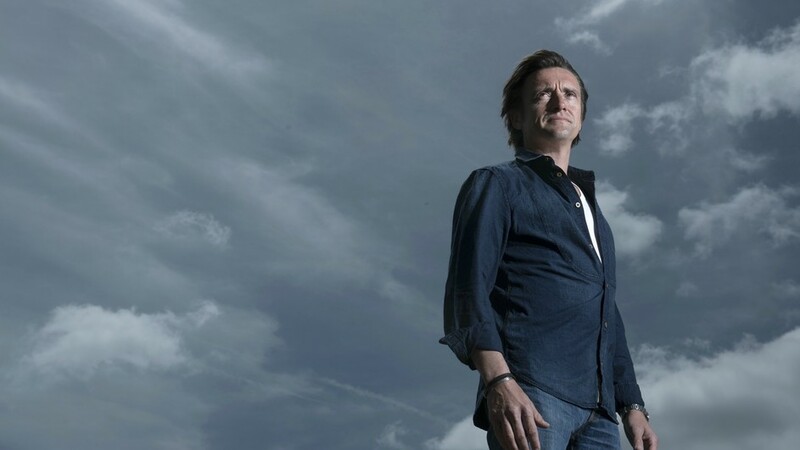 ‘Wild Weather with Richard Hammond’ is a weather series unlike any other and it will completely change our understanding of the extraordinary natural forces at play in our weather. Only by properly understanding our weather, we can better learn to live with it. Find out how filming an avalanche turned out to be a frosty adventure for the crew in our behind the scenes story.